After collaborating on numerous writing teams, Pieter-Jan decided it was time to have his own voice heard. He is currently working on his first movie script, for which he has received the support of the Flanders Audiovisual Fund (VAF). Two brothers, one shared dream—to become a professional football player. When one of them is selected to play for a top football club, he discovers the glamorous yet deceitful world of top-class football. The other brother’s football dream is shattered, however, and he has no choice but to find another way to make something of his life. One thing is certain: both the brothers and their family will find out there’s a price to pay for success. Screenplay by Kristof Hoefkens, Gijs Polspoel, Bart Uytdenhouwen, Nuran Karaca, Nico Molenaar, Piet Baete & Pieter-Jan Verachtert. Directed by Gijs Polspoel. Produced by De Mensen for VTM. A friendship arises spontaneously, it happens unexpectedly, and you can’t get away from it. But three-quarters of a century is a long time. A story about ni sans toi, ni avec toi. A story about love and disappointments. A story about fighting and missing each other at the same time. Screenplay by Ed Vanderweyden, Dirk Nielandt, Nathalie Haspeslagh, Rita Bossaer & Pieter-Jan Verachtert. Directed by Cecilia Verheyden. Produced by Menuet for één. Antwerp, eight weeks prior to the city council elections. 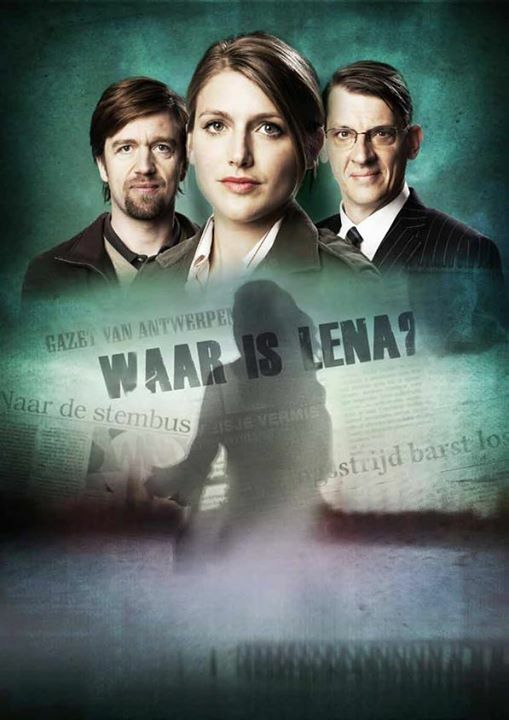 The election battle between progressive mayor Peter Van Laer and the conservative opposition leader Bert Coenen is in full swing when 14-year-old Lena disappears. Marianne Smidt, a freshman journalist with the paper, is put in charge of the case file. Soon she discovers that the disappearance is linked to the political world. Screenplay by Ed Vanderweyden, Dirk Nielandt, Rudy Morren, Nicholas Roelandts & Pieter-Jan Verachtert. Directed by Maarten Moerkerke. Produced by Menuet for VTM. In Skilz, an adventure series for teens, four members of a music band solve mysteries around their school. From the hidden laboratory in their rehearsal room, they oversee the different cases (one per episode). On top of this, every band member has a special power, which helps them solve the mysteries. Screenplay by Jean-Pierre De Lamper, Ben Vetters, Yann Van Den Branden, Kristof Van Den Bergh, Nele Meirhaeghe & Pieter-Jan Verachtert. Directed by Kim Van Oeteren & Frederik Sonck. Produced by Any Media for vtmKzoom.